In an agonizing blog post, Kayla Stoecklein responded to her husband, Andrew's, weekend suicide. "It's only been three days. Nothing can take away the suffocating pain I feel now you are gone," Kayla writes. "I miss every part of you, I see you everywhere. I replay the events of that fateful day over and over again in my mind, wishing I could have done things differently. Wishing I could have held your hand one more time and prayed over you and told you how much I love you, how much I believe in you, and how God's got this too." She continues, "You were right all along, I truly didn't understand the depths of your depression and anxiety. I didn't understand how real and how relentless the spiritual attacks were. The pain, the fear and the turmoil you must have been dealing with every single day [were] unimaginable. The enemy knew what an amazing man you were. The enemy knew God had huge plans for your life. The enemy saw how God was using your gifts, abilities and unique teaching style to reach thousands of lives for Him. The enemy hated it, and he pursued you incessantly. Taunting you and torturing you in ways that you were unable to express to anyone." 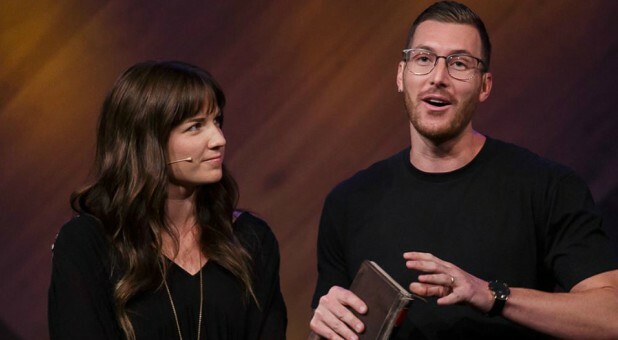 Andrew, the pastor of Inland Hills Church in Chino, California, committed suicide over the weekend, devastating his congregation. Andrew was reportedly in the middle of a series called "Hot Mess" and was open about his struggle with mental health. According to Faithwire, Andrew told the church about his personal issues on Aug. 12. You can watch the full sermon here. Andrew, I want to tell you from the depths of my heart and my pain, I am so sorry. I am so sorry you were unable to fully get the help and support you needed. In the wake of Andrew's suicide, many church leaders have spoken up about how suicide affects the church, especially pastors. It's been said that 1 in every 4 pastors struggles with depression. Lifeway Research reveals that the number of pastors diagnosed with clinical depression was double the national average. Forty five percent sought advice from their family doctor regarding stress and anxiety issues. Nearly one-fourth of all pastors (23 percent) acknowledge having "personally struggled with mental illness," and half of those pastors say the illness has been diagnosed. I know some people will try to over-spiritualize this blaming principalities and powers. Trying to come up with lists of demons possibly responsible, stating pastors have targets on their backs. But the statistics are nearly the same with those not in ministry. Sure, spiritual warfare is real. But too many churches are so focused on spiritual warfare when they should be loving people more than they are binding and rebuking the devil. And that includes loving your pastors who are just like you. And other Christian churches will be careless and try to bring "discipline and correction" into situations like these. But their attacks and jabs will only push people further away from God, and cause more struggling pastors to hide their struggles. Laskey quoted Orlando pastor Paul Valo, "Depression is real and pastors are not exempt or defective who experience it ... 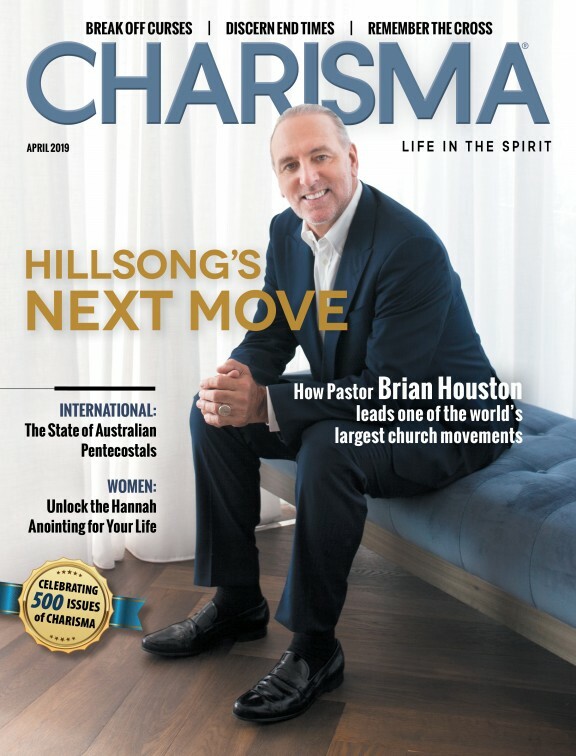 In this generation, pastors are expected to be business savvy, Instagram quotable preaching celebrities, fully accessible, deeply spiritual, not too young, not too old, and if a pastor doesn't quite measure up to someone's expectation at any given moment, they are given a two out of five star rating on Google. Wow! We have reduced the ministry to star ratings on Google! Let me recommend that you pray for your pastor and support your church faithfully! You'll probably never realize what they walk through privately." But for Andrew, it was too late. Despite his death, Kayla says she is committed to fighting for him. I want to tell you that I am never going to stop fighting for you. I will continue to tell our community and our world what an amazing man you were. Your name will be honored, and you will be remembered as a hero. You fought the good fight, and I can only imagine the incredible place God had prepared for you when you walked through the gates of heaven. I can only imagine what it must have felt like to see your dad again, healthy and strong. I can only imagine how much joy you must feel now that you are truly free. I wish I could be there with you, celebrating on the streets of gold. But for now, I will continue to live for you. I will raise our boys to be men of God, just like you were. Your name will live on in a powerful way. Your story has the power to save lives, change lives and transform the way the church supports pastors. I love you so much, and I will miss you every single day for the rest of my life. When I think of you I will smile, knowing that I will see you again one day. Thank you for 10 wonderful years together. Thank you for giving me the gift of three beautiful blue-eyed boys who all resemble you. Thank you for choosing me, for believing in me and for showing me how to live fearlessly. Until we meet again, I will cling to my Father in heaven. He will carry me through every second, every minute, every hour of every day. I read a verse this morning, and I know God is reminding me that even now, in the midst of my deepest pain, He has got this.